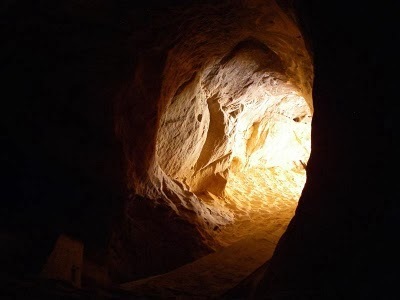 KANAB, Kane County – For 100 years, locals have believed Montezuma’s treasure lies at the end of a tunnel below Three Lakes pond in Kanab, Utah. Now, filmmakers hope to discover just what is there. Producer Mike Wiest along with landowner Lon Child and a crew of filmmakers are setting out to tell the story of Three Lakes, Montezuma and the treasure hunters whose attempts of recovering the gold have been foiled. The pond that lies along U.S. 89 is the site of Montezuma’s lost treasure that could be worth more than $3 billion, according to local legend. Though some details vary, locals believe Aztecs dug the Three Lakes pond to cover the treasure’s cavernous hiding place in a water trap on the west side of the pond. Once dug, they could divert a river to the pond, fill it up and walk away from an ordinary looking pond with a valuable secret. While it sounds far-fetched, the story has circulated throughout Southern Utah since 1914, when Freddy Crystal showed up with a map he claimed showed the treasure’s location. 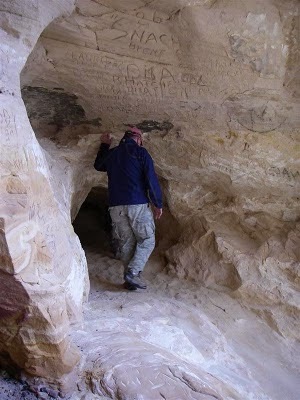 It wasn’t until the 1920s, when he found a series of sealed tunnels in nearby Johnson’s Canyon that people started believing him and joining his unsuccessful hunt for the gold. 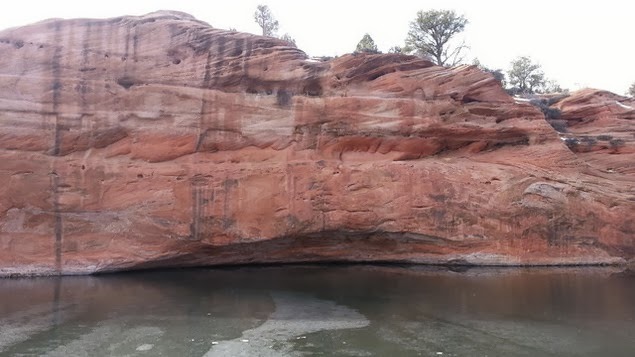 In 1989, Brandt Child, a Kanab resident, bought the pond and surrounding area. 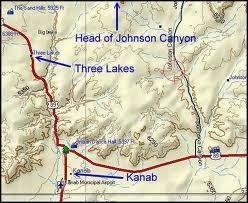 He said he knew the clues in Johnson Canyon were decoys, and the real treasure lay in a water trap 36 feet below the pond’s waterline, indicated a symbol on the cliff above the cave. Multiple efforts to dive into the caves were ended after divers said they became disoriented and saw the ghosts of Aztec guardians, but they were able to detect metal at the end of the tunnel. Child’s next move was to drain the pond. His plans were halted, however, when the U.S. Fish and Wildlife Service put the amber snail on the endangered species list in 1992. The small creature is so rare, its only known habitat is Three Lakes pond, and each one killed can incur a $50,000 fine. "I can't do anything to my own property that might disturb those snails," Child told Deseret News at the time. "It doesn't look like anyone will get the gold." The pond is surrounded by mystery, which is what Jubal Productions hopes to uncover. Wiest has been interested in the property since he was 12 years old and his father mentioned the pond was haunted. He didn’t learn more until a few years ago, when his friends told him about Three Lakes’ history. Now, the production team is raising funds to send remote operated vehicles, particularly submarines carrying lights and cameras, into the cave. The ROVs are well-situated to high water pressure and immune to human fears of the supernatural that have impaired scuba divers in the past, Wiest said. The ROVs would also be better able to avoid smashing any of the small snails. They intend to use their footage in a documentary about Montezuma’s treasure, its hiding place and protectors. The crew believes there is something down there, and something is protecting it, whether it’s supernatural or explained away by science. Wiest said he isn’t ready yet to discredit the supernatural as an explanation for the strange occurrences surrounding the cave. He said he wants to go into the filming with an open mind and is even ready to send in a scuba diving exorcist, if necessary. “Nothing is too far fetched at this point only because, at this point, we can’t afford to discredit anything,” Wiest said. If the submarines do find anything, Wiest said, they likely wouldn’t remove it from the cave. Lon Child, one of Brandt Child's 10 children the land was parceled out to, has expressed that it belongs down there.